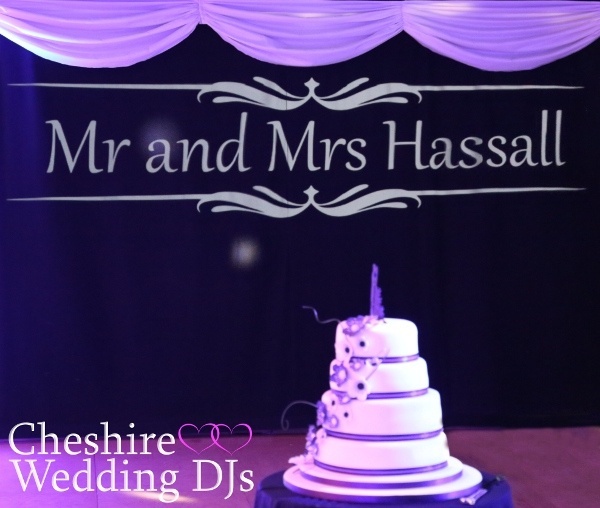 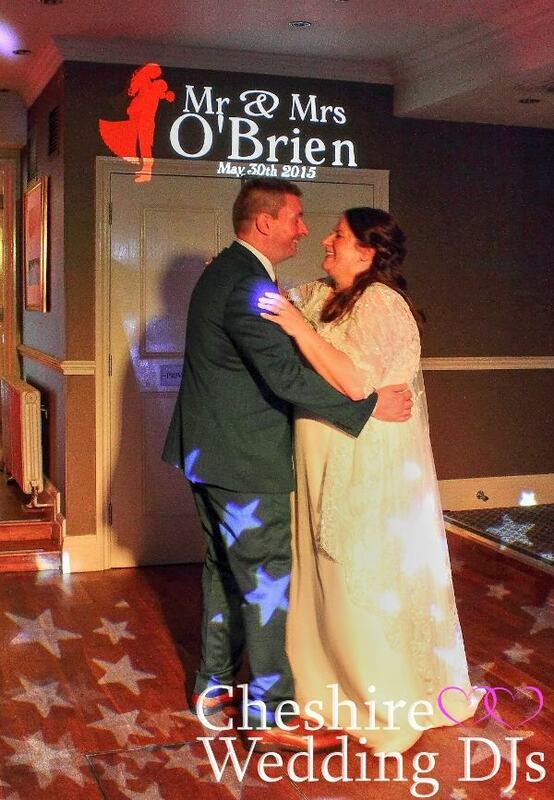 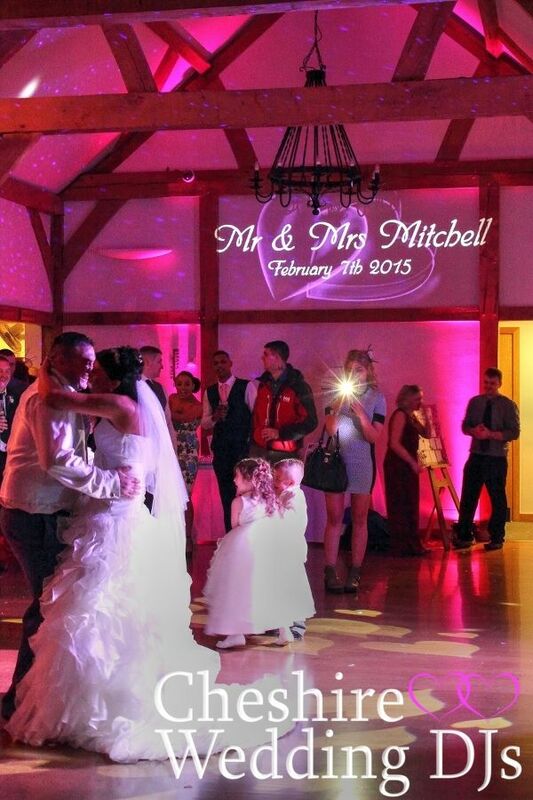 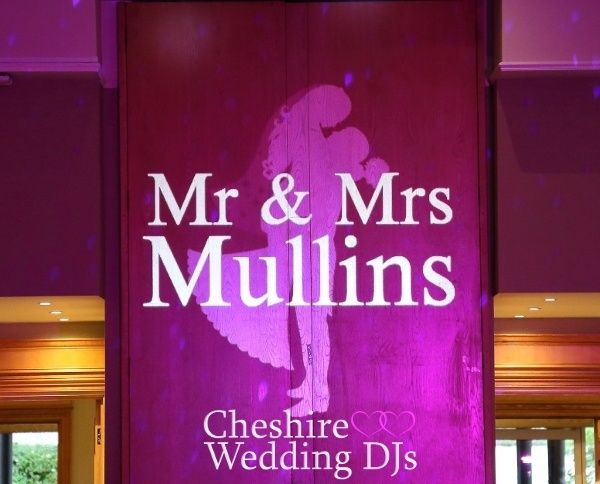 See Facebook for weekly photo updates of Cheshire Wedding DJs events. 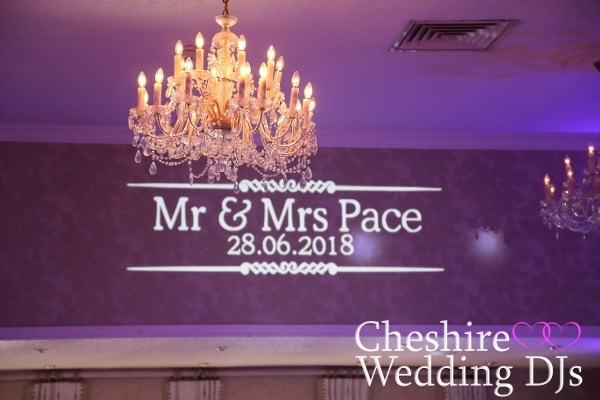 Our final monograms of 2018 at Peckforton Castle and Mottram Hall. 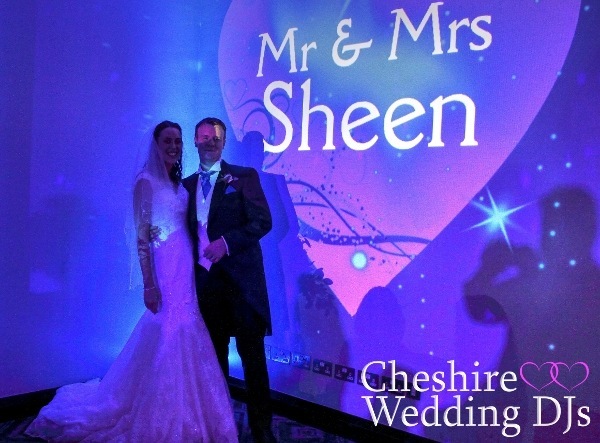 Monogram projected on the Apex of the marquee at Nunsmere Hall (pic 2). 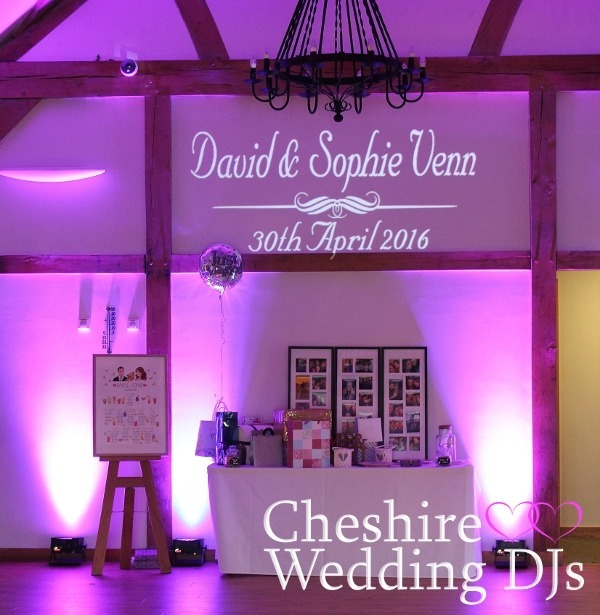 Two examples of monograms in tight spaces - at Tower Hill Barns, near Wrexham and The Oaktree Of Peover. 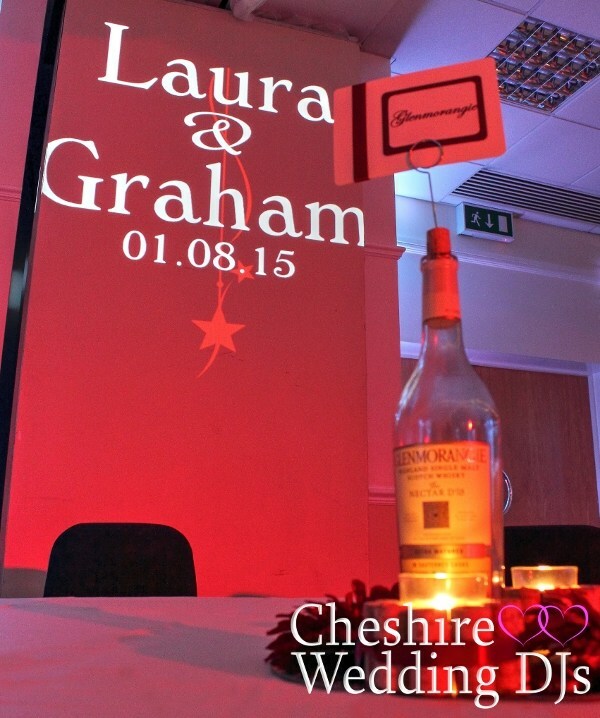 Name projections at Rowton Hall and Cranage Hall. 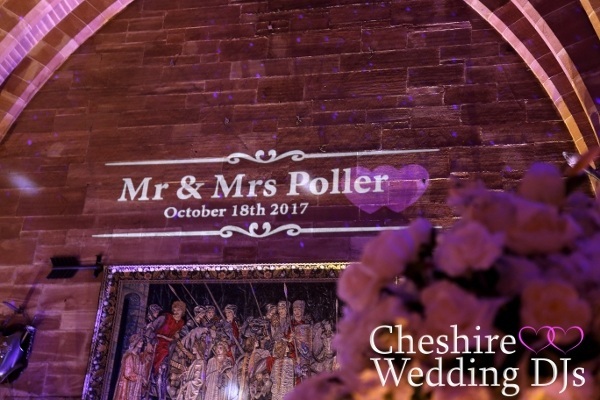 A couple from late 2017 at Peckforton Castle and Rookery Hall. 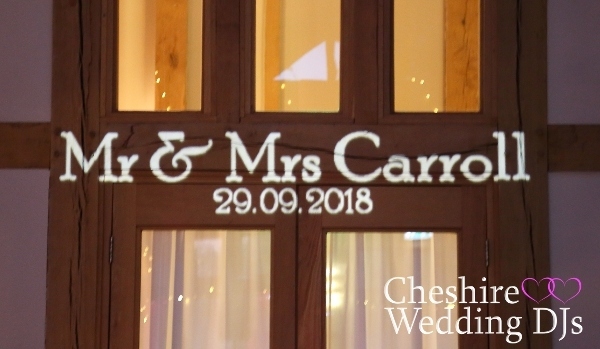 Monograms from a couple of summer weddings at Heaton House Farm & The Mere Golf Resort. 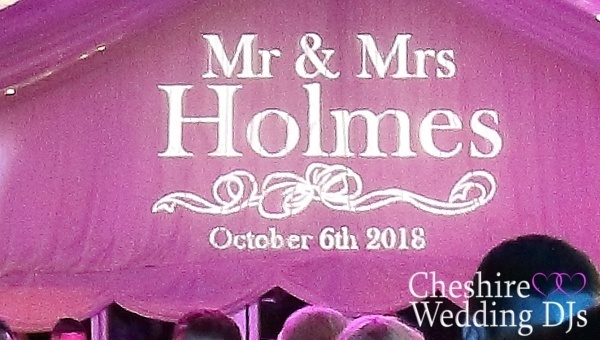 A recent wedding monogram at Oakley Hall, up close and from a distance, centred over the door, nice. 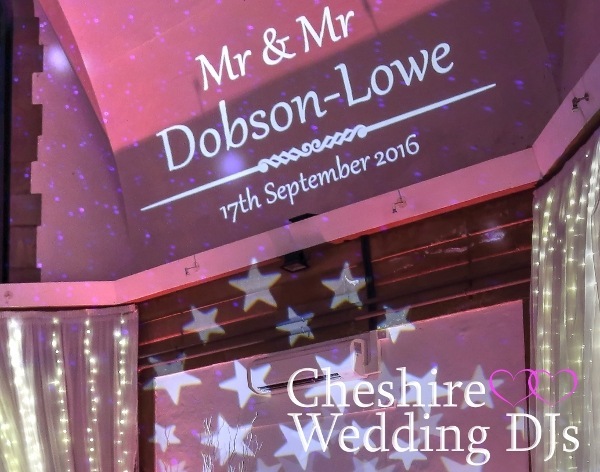 Monogram projections at Rookery Hall and Shrigley Hall......late 2016. 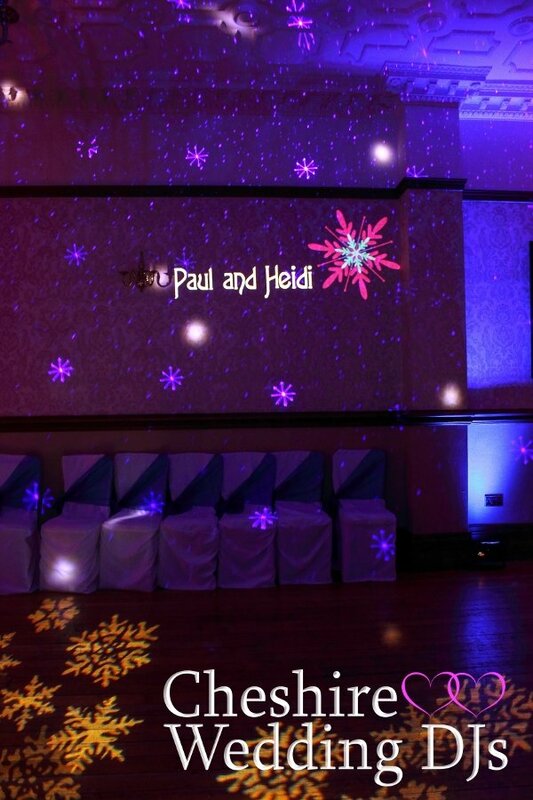 Awesome.....Name in lights projected at Abbeywood Estate. 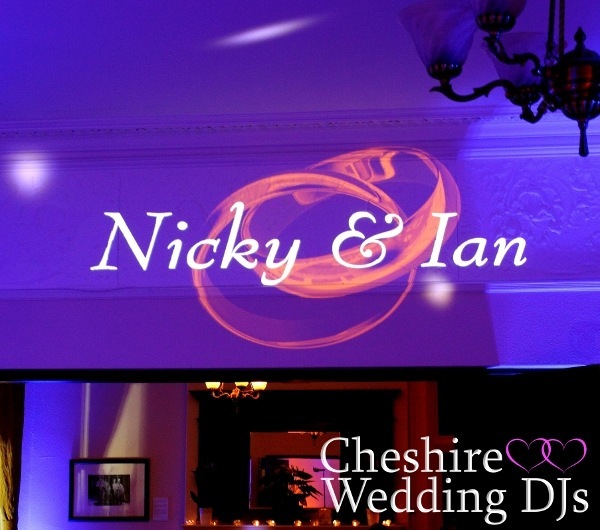 A couple of "Name in lights" projections at Shrigley Hall and Manley Mere. 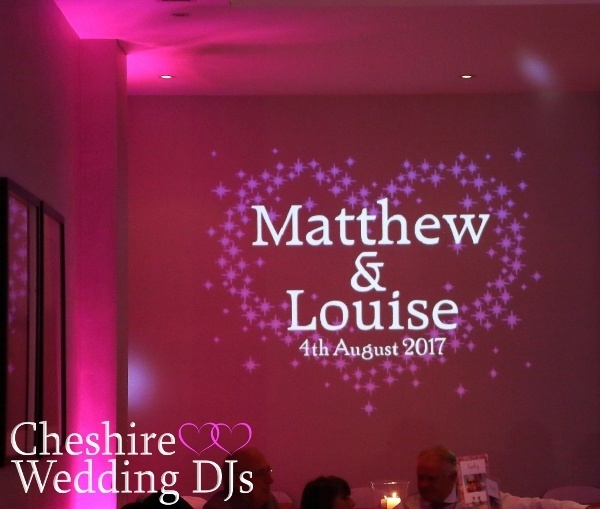 Our monogram projection at Aston Marina near Stone. 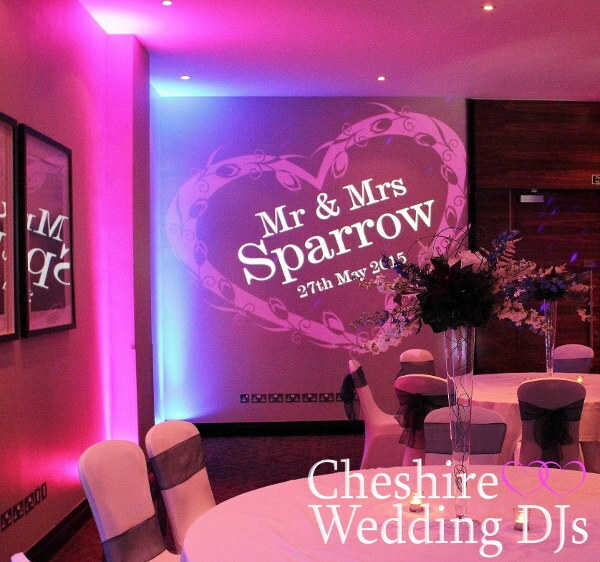 Part of our lighting package at Rookery Hall & Sandhole Oak Barn in Congleton. 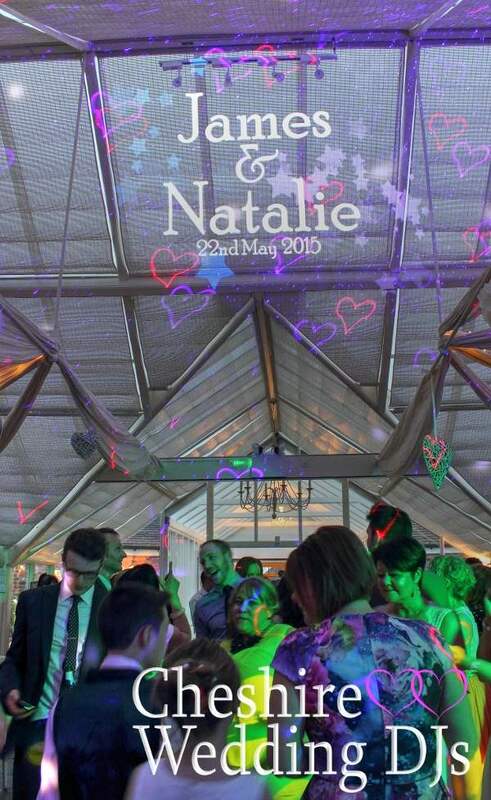 2 very different designs projected onto the ceiling of the Abbeywood Estate glasshouse. 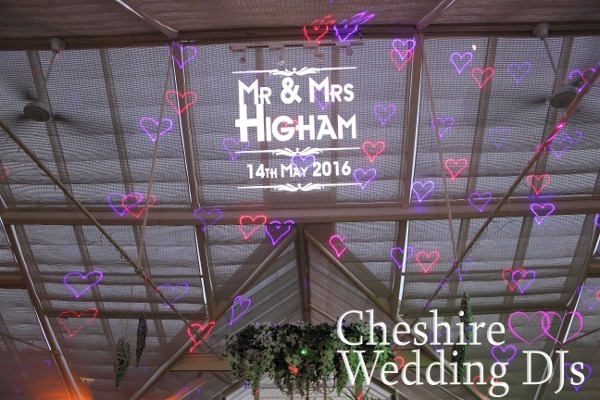 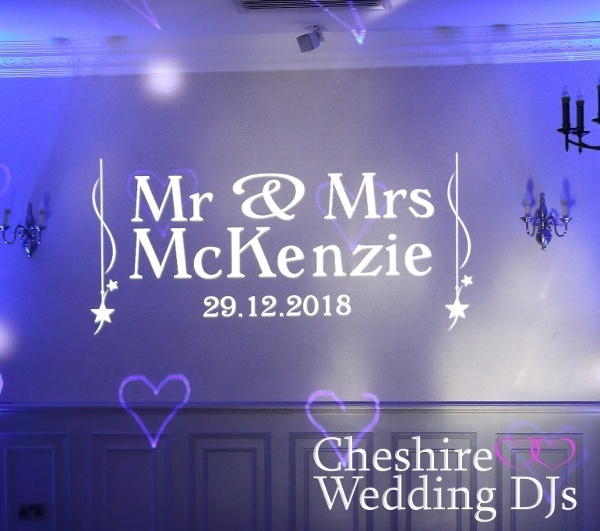 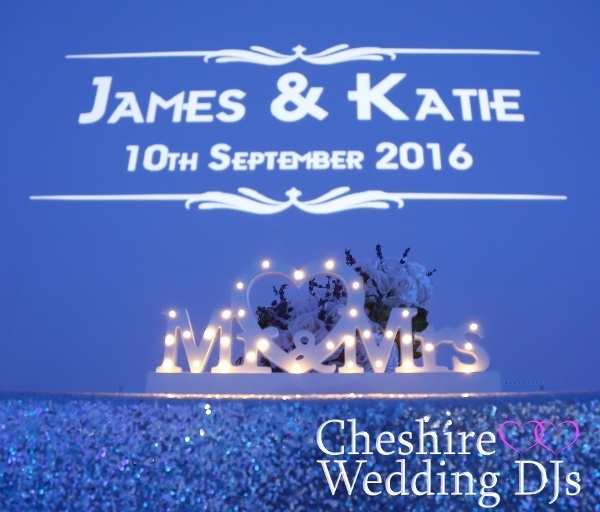 All the monograms pictured where individually designed by Cheshire Wedding DJs for each wedding. 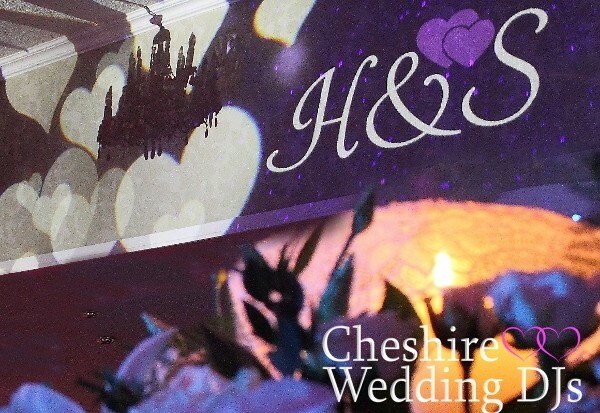 We have done some fantastic weddings in 2015 including at Peckforton Castle (left) & Sandhole Oak Barn (right). 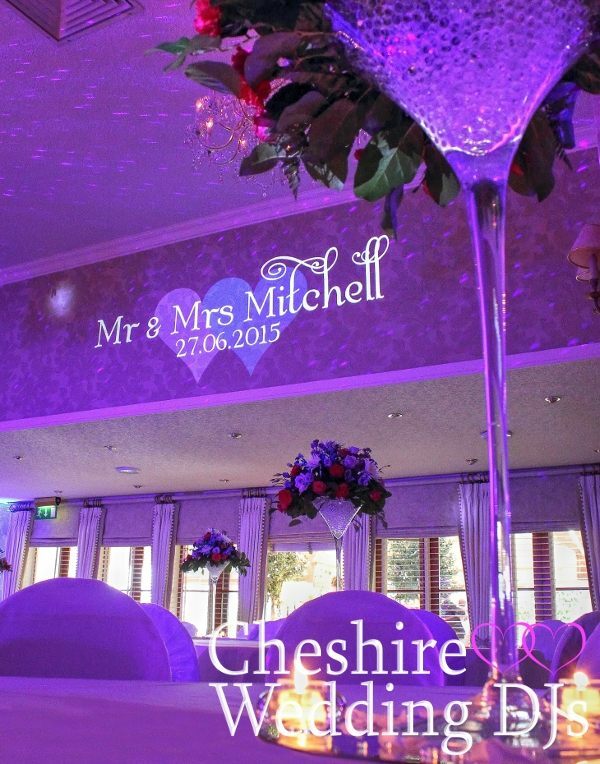 A couple of fantastic shots from our regular venue Rookery Hall. 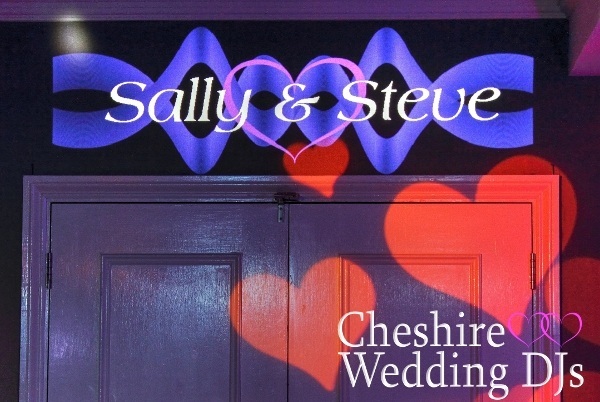 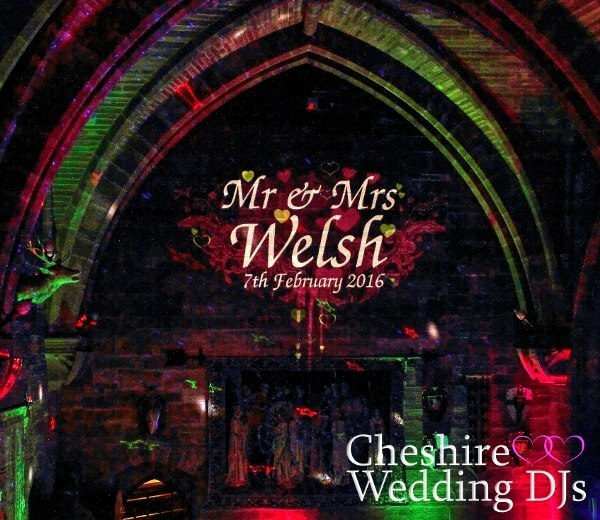 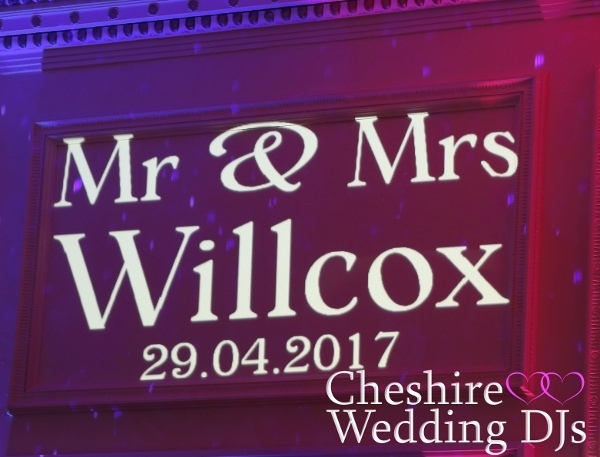 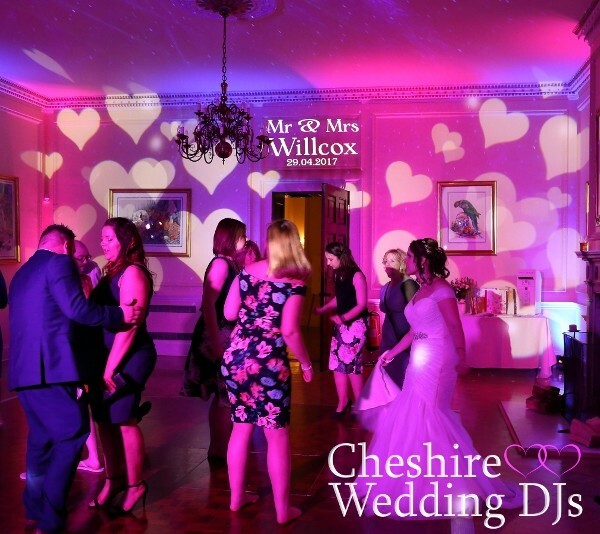 New venues to Cheshire Wedding DJs this year include The Alderley Edge Hotel & Craxton Wood Hotel. 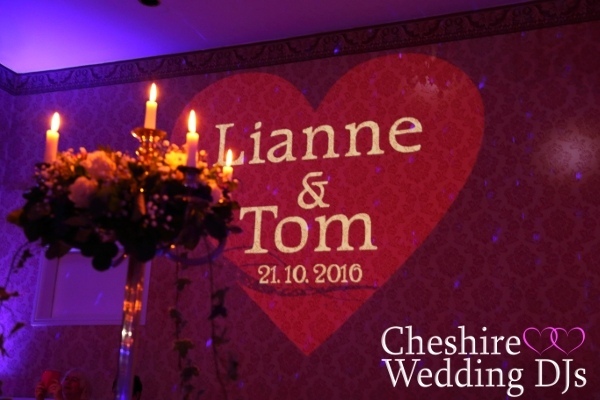 A couple of photos from weddings in The Olympia Suite at Arley hall. 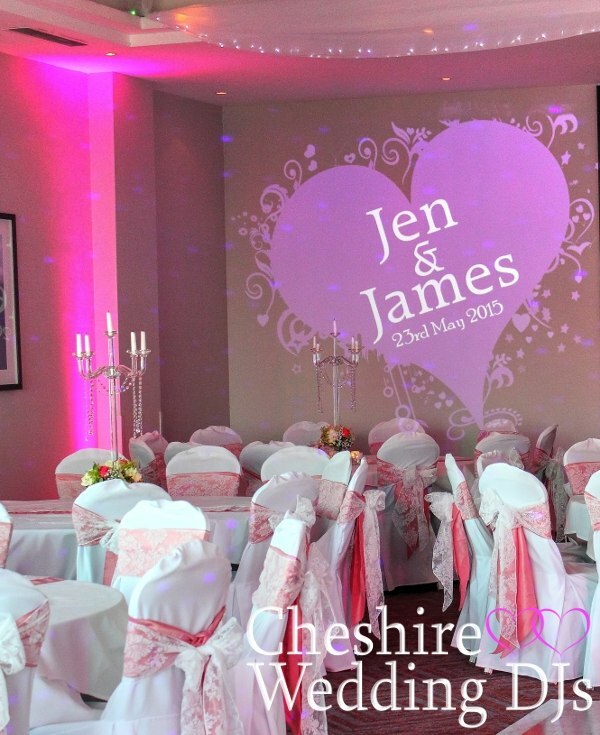 We try to design your monogram to match your colours & theme of the room decor to give it the wow factor. 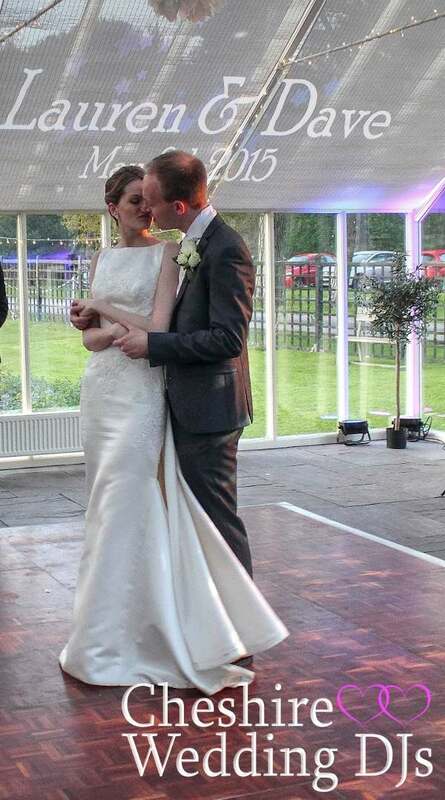 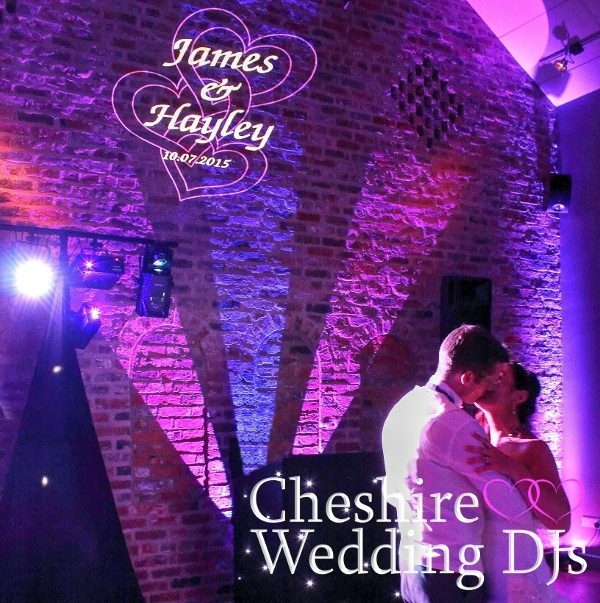 2 of our more regular Cheshire Wedding DJs venues are Rookery Hall and Rowton Hall. 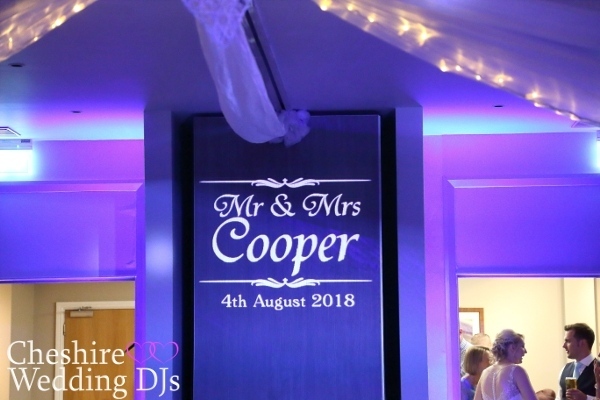 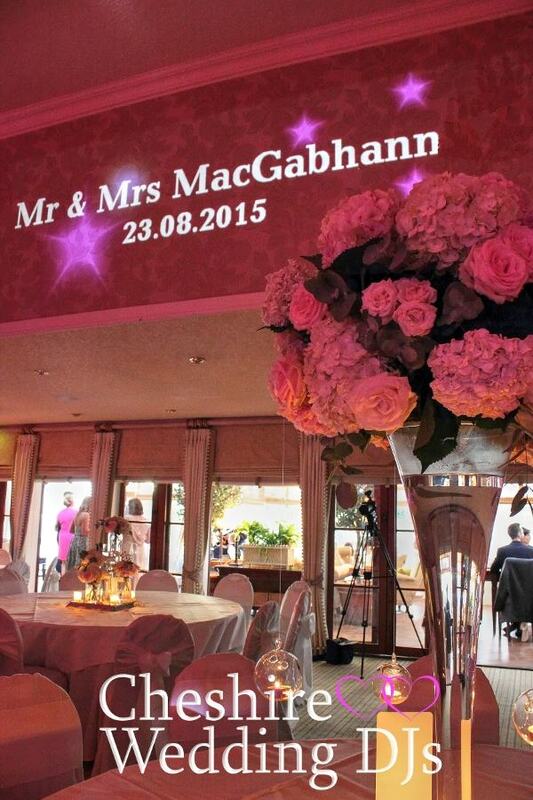 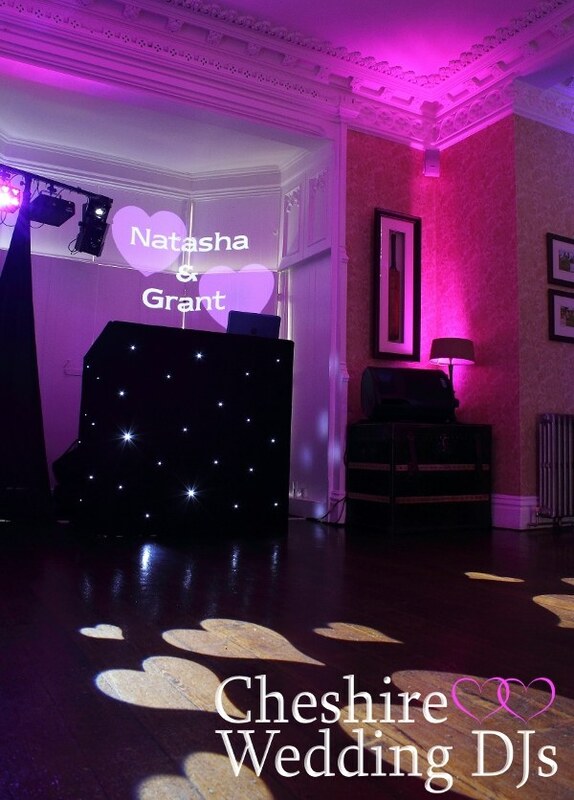 Purple uplighting is very popular, with matching monograms above at Shrigley Hall & Nunsmere Hall. 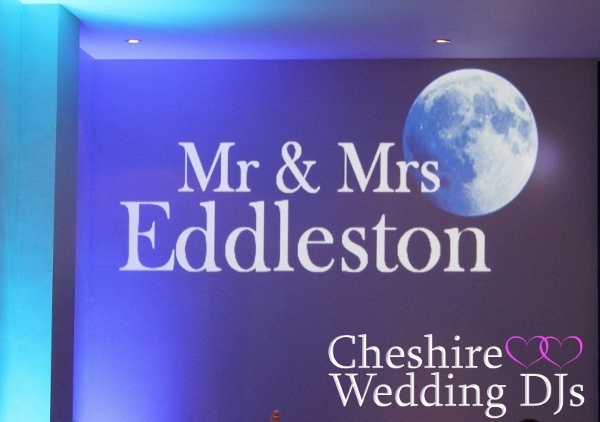 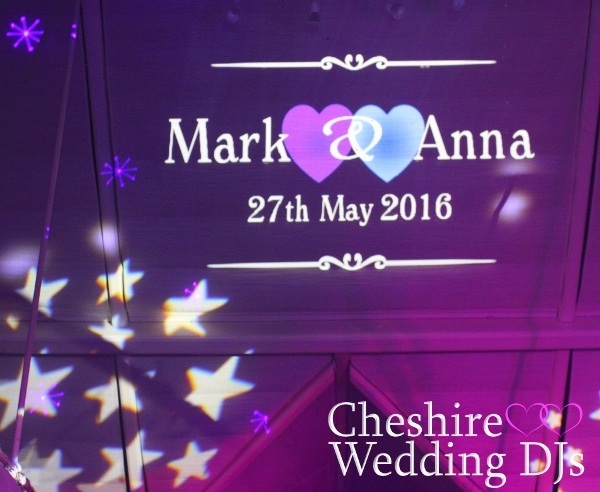 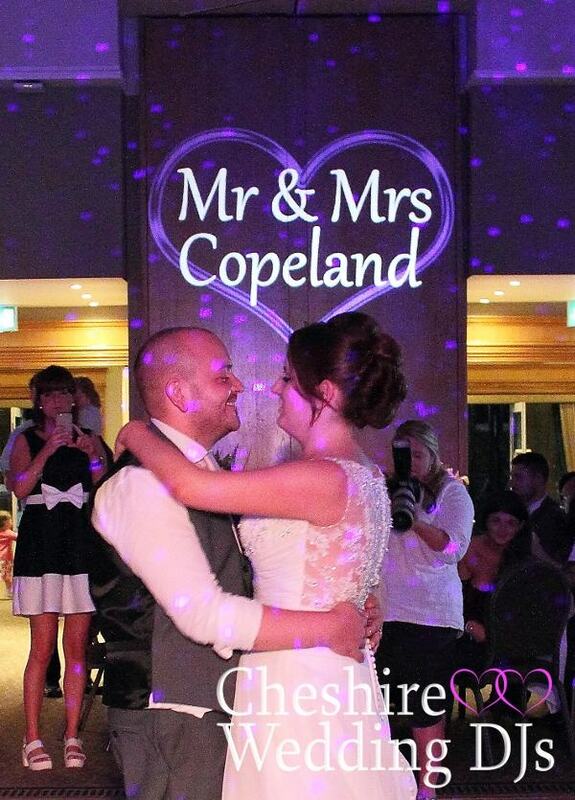 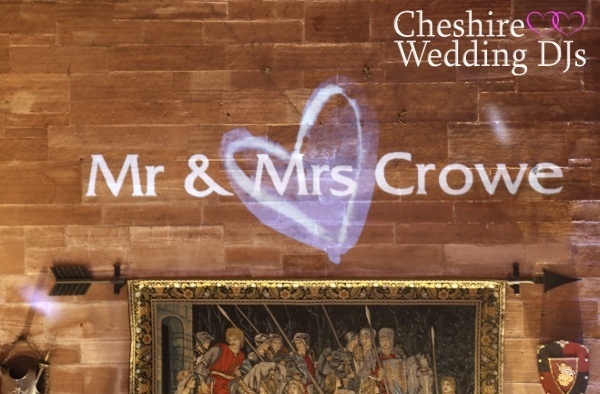 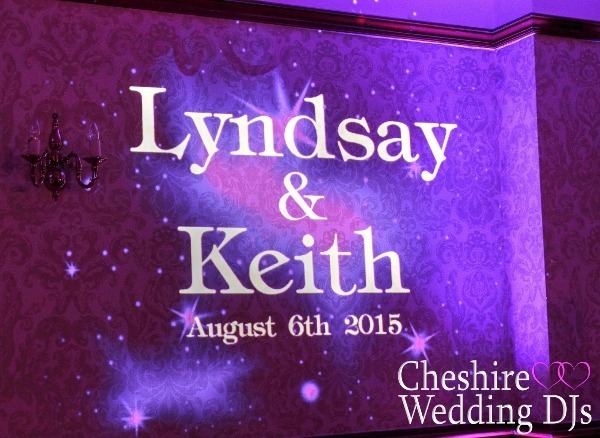 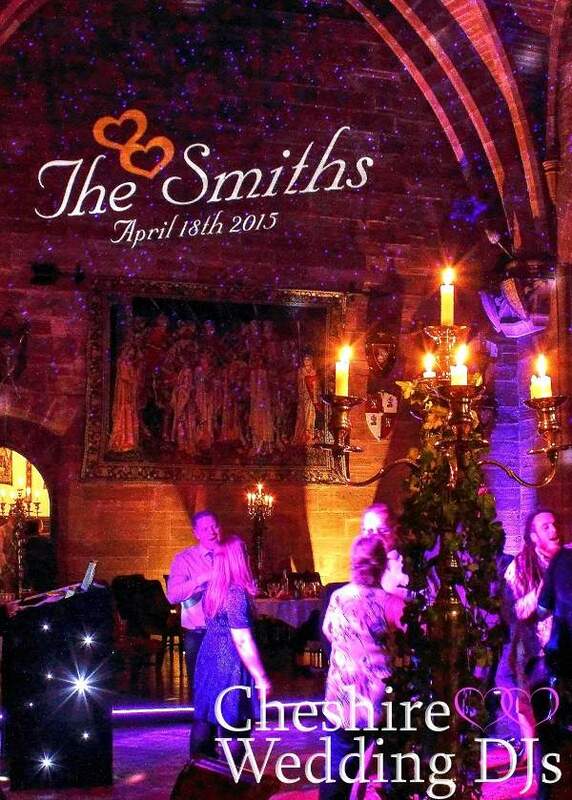 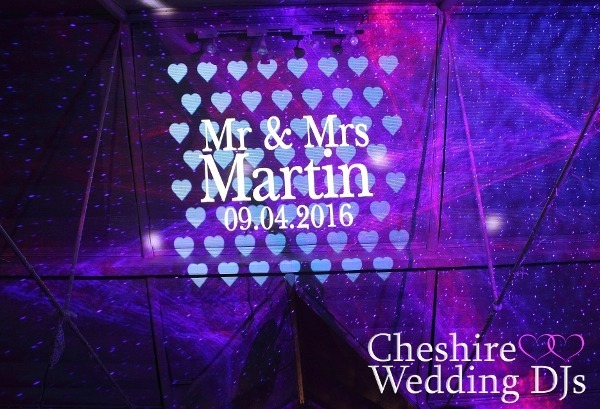 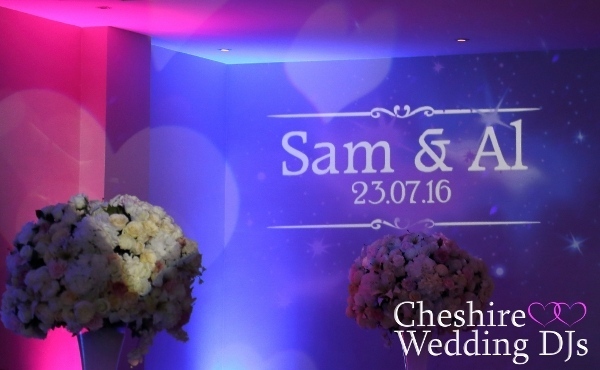 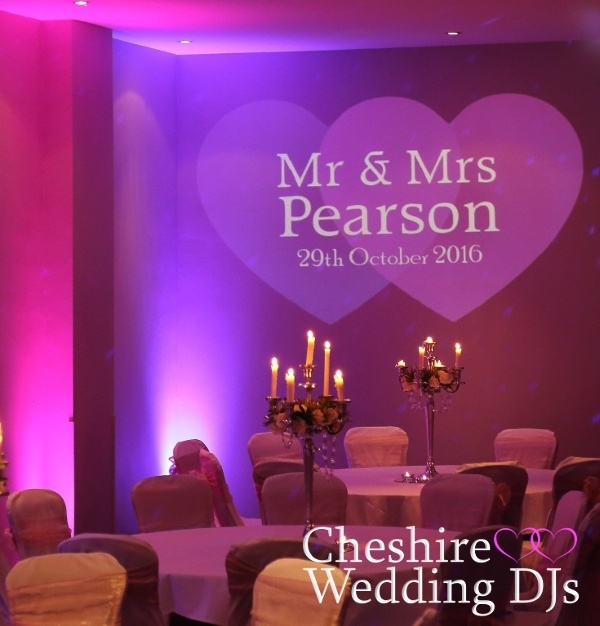 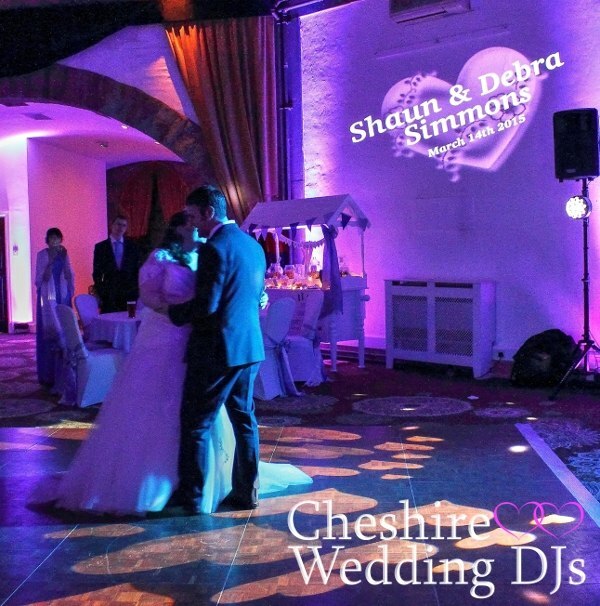 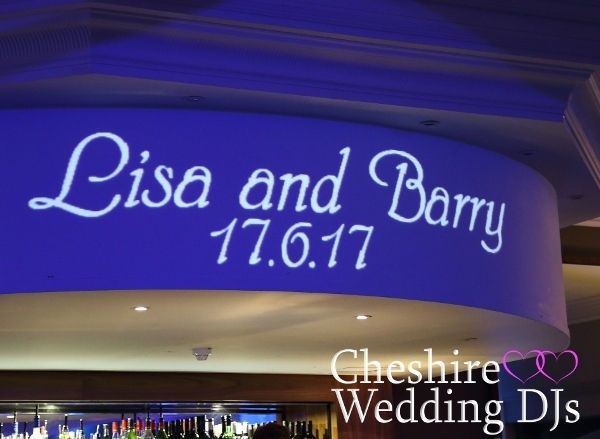 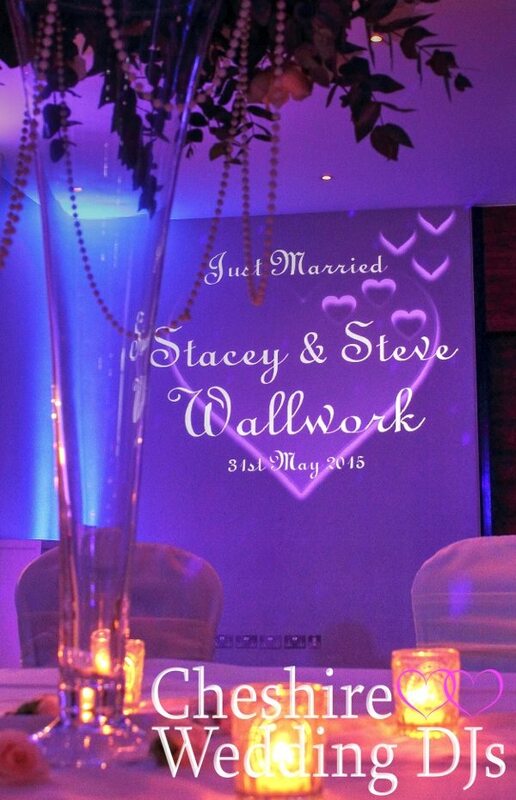 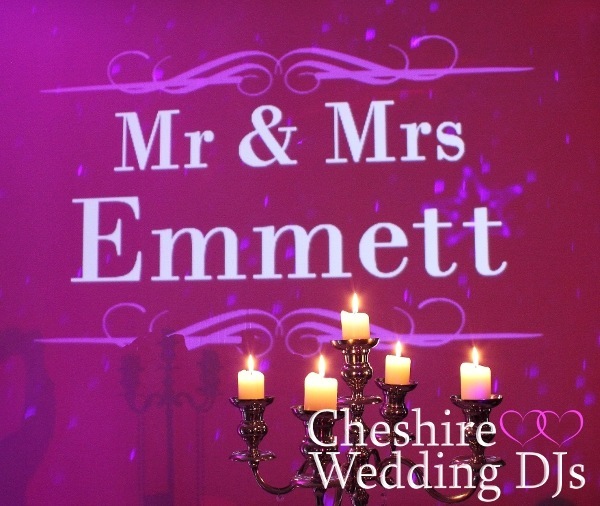 Nunsmere Hall and Peckforton Castle with funky personalised monograms and uplighting. 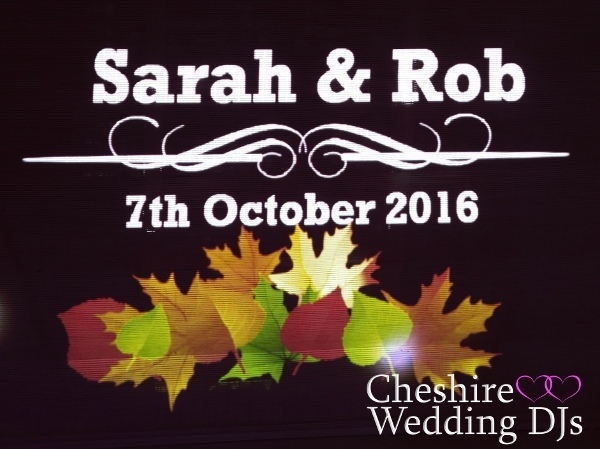 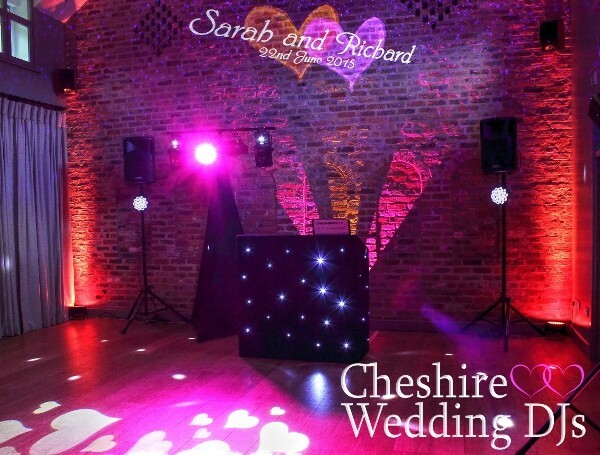 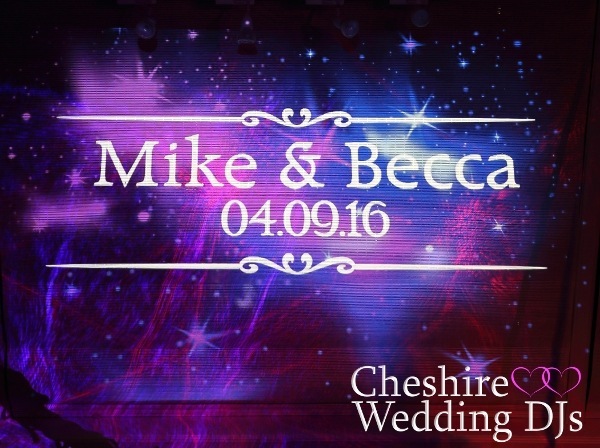 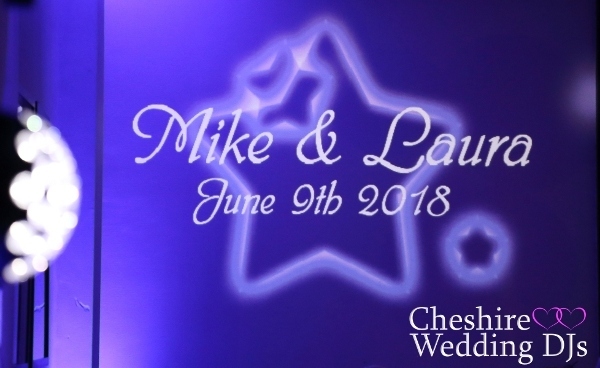 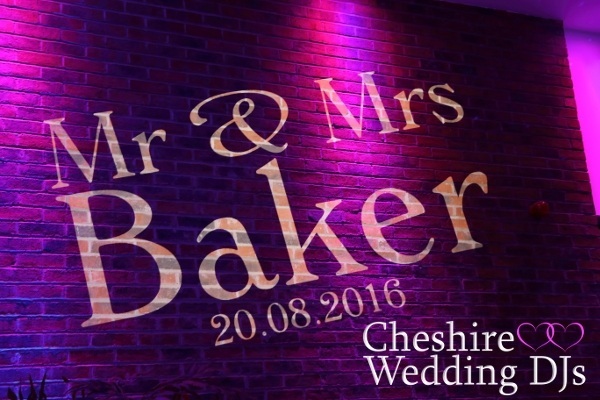 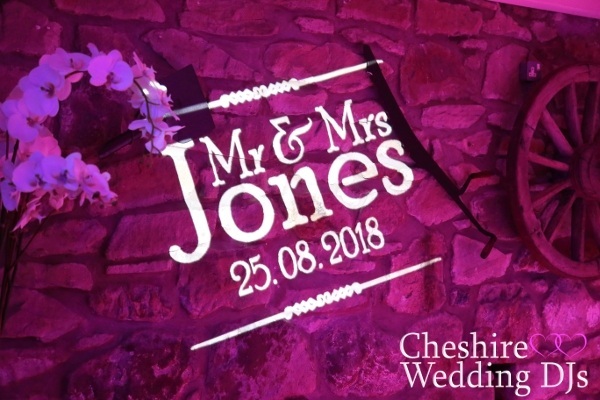 A couple of Cheshire Wedding DJ events at Oakfield House at Chester Zoo & The Mere Court Hotel. 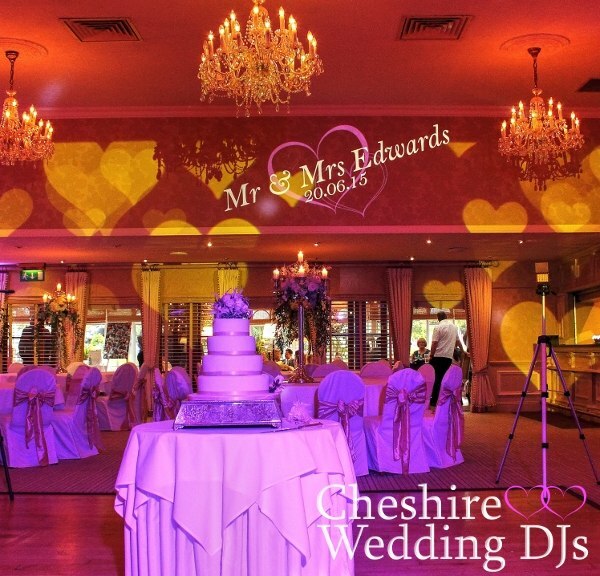 The Didsbury House Hotel in Manchester & Abbeywood Estate get the treatment. 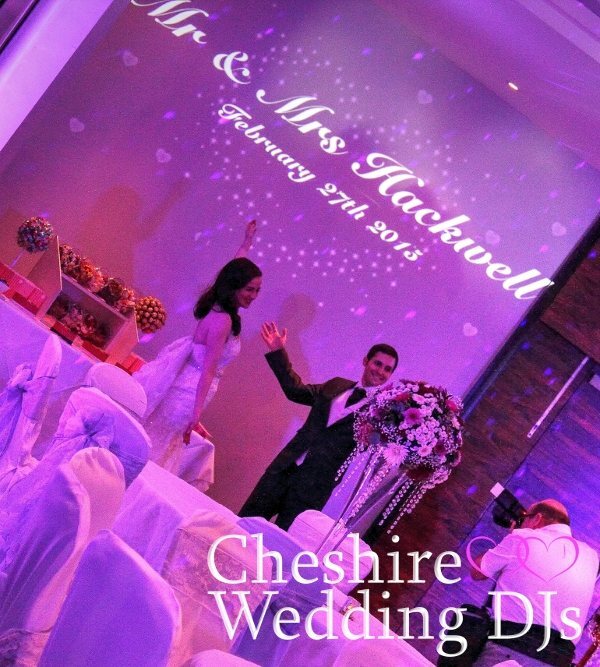 Here are couple of photos from recent events at Rookery Hall & The Craxton Wood Hotel. 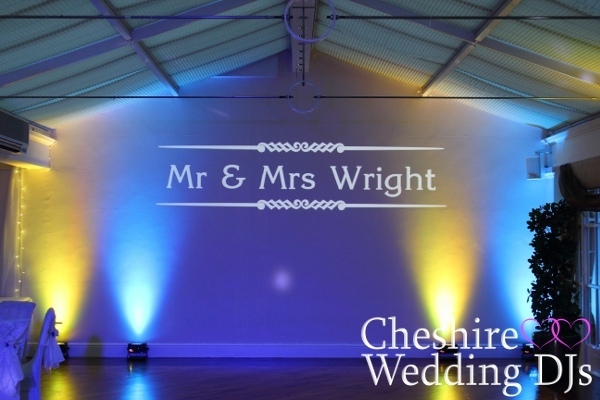 The monograms can be full colour or plain white, if you have any design ideas yourself please feel free to ask.